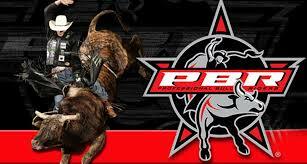 DAWSON CREEK, British Columbia – Zane Lambert has ridden bulls all across Canada. He is one of the top men on the PBR Canada tour, and he will join other top cowboys competing at the PBR Dawson Creek Fueled by Lyons Production Services, set for Dec. 1 at the Encana Centre. That’s a big drawing card for the best Canadian cowboys in the game. The event is produced by Alpha Bull, which has a solid reputation for top events all across Canada. Chad Besplug, Alpha Bull’s founder and CEO, is a former bull rider who has extended his expertise in bull riding into developing top events. Though he hasn’t been to many Alpha Bull events, Buttar said the word is out. “The atmosphere he has going with pyro and lights is cool,” Buttar said. “He brings a different view to the production side of it, which is pretty awesome. Buttar has focused his attention on the Unleash the Beast series, the PBR’s premier tour, which features dozens of events primarily in the United States. Those events feature the largest paydays in the business, but cowboys must earn their way onto the tour. Lambert is riding a hot streak and hopes to be on tour by the end of the regular season. Until then, he plans to hit rodeos in Canada and the U.S. as well as PBR Canada stops. He is scheduled to compete at the Calgary Stampede in July and has his sites set on qualifying for the Canadian Finals Rodeo and repeating as the PBR Canada champion.